This week’s pick is A Charlie Brown Thanksgiving – an iPad version of the popular TV classic. 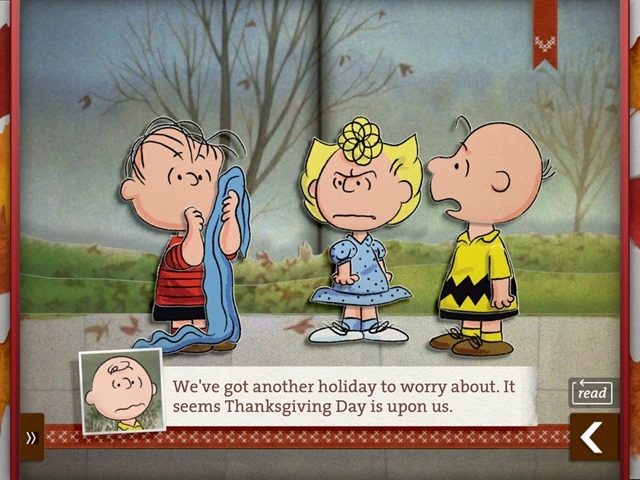 With Thanksgiving right around the corner, this is an app that should prove hugely popular with kids and Peanuts fans of all ages. 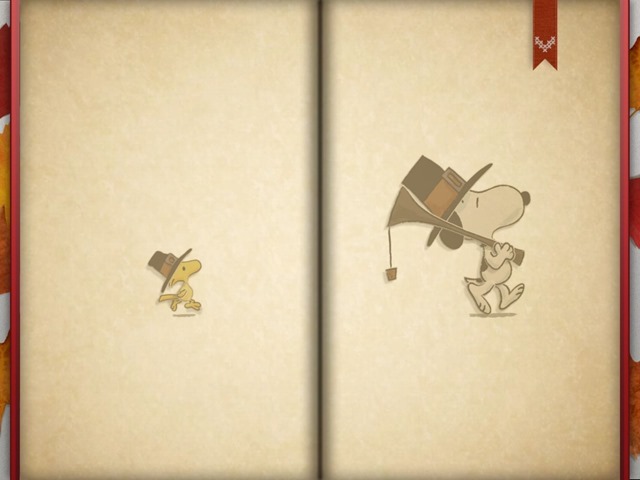 It’s an iPad storybook that faithfully renders the original TV special – just as all of the Charlie Brown series for iPad and iPhone from the developers at Loud Crow Interactive do. The app brings all the humor and charm of the original books, cartoons and TV to the iPad. As well as some gentle reminders of what holidays are all about. • Featuring dialogue, music and sound effects from the original 1973 animated special. • Touch, tilt and slide your way through every page of the book! • Leaf collecting feature and instructional elements playfully guide little readers through the story. • “For Parents” area safely separates adult controls from child-friendly content. • Enhanced type and improved swipe tabs increase the applications readability across devices. • Engaging narration by Stephen Shea, the voice of Linus van Pelt. • Three reading modes are included for your enjoyment: Read to Me, Read Myself, and Autoplay. • Additional educational features include word highlighting and touch-to-speak technology. My 10 year old daughter is an avid Peanuts fan who often falls asleep reading the old Peanuts compilation books. 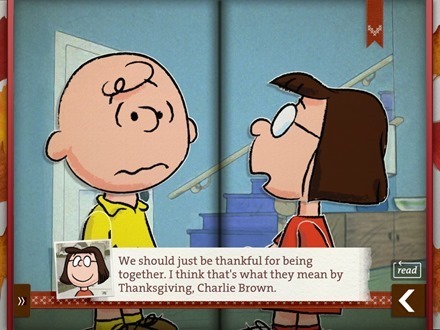 And she loves these Charlie Brown iPad storybook apps from Loud Crow. In my book, you can’t get a much better recommendation than that. 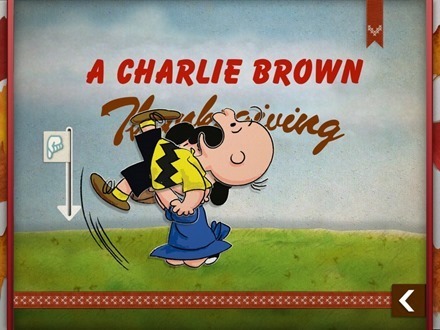 Here’s an App Store link for A Charlie Brown Thanksgiving; it’s priced at $5.99 and is a universal app designed for both iPad and iPhone.